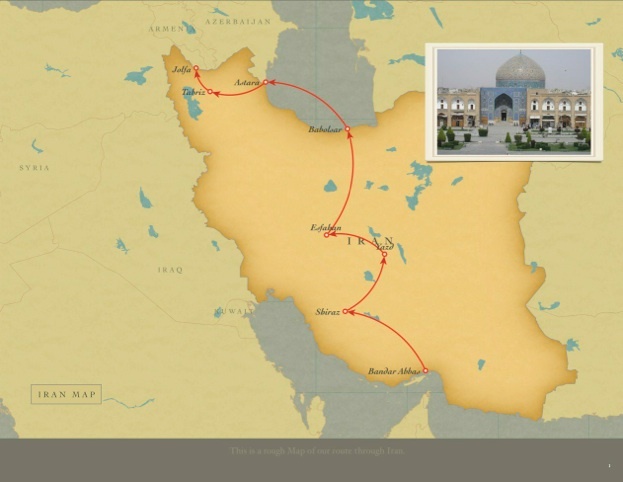 During April-May 2010 we spent 28 days in Iran: We arrived by ferry to Bandar Abbas and then caught a bus to Shiraz. We rode from Shiraz to Yazd. We did a desert tour from Yazd and then caught a bus to Esfahan. From Esfahan we caught a bus to Babolsar on the Caspian Sea. We rode along the coast to Astara and then a bus to Tabriz and finally we rode to the Armenian border near Jolfa.